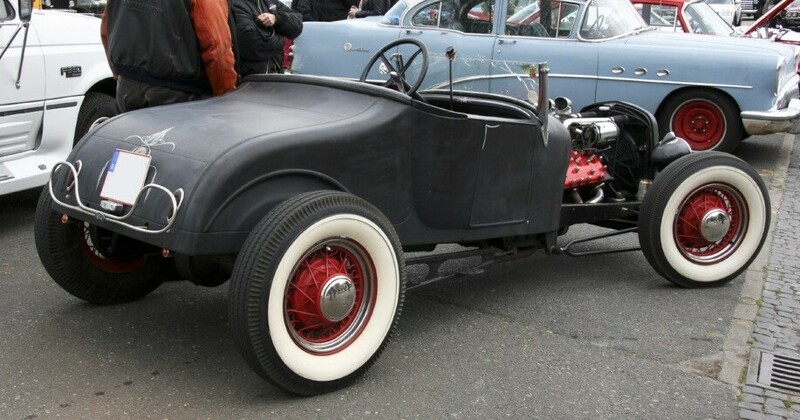 I've been thinking about this for a long time and although I'm probably on the wrong forum for this I figured that it was probably about time for a thread of pictures of Hot-Rods. 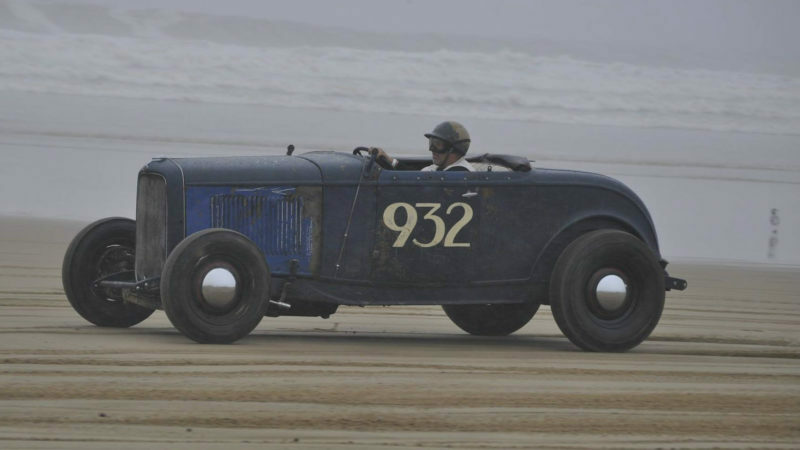 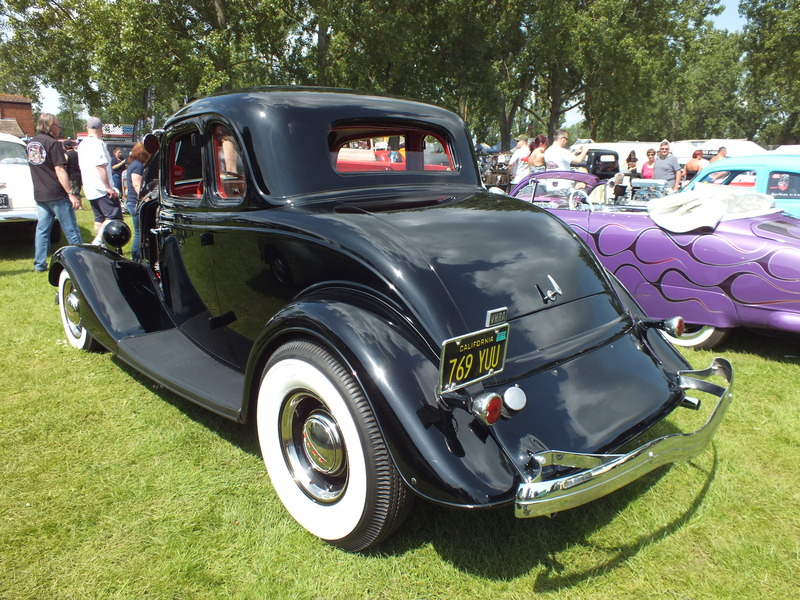 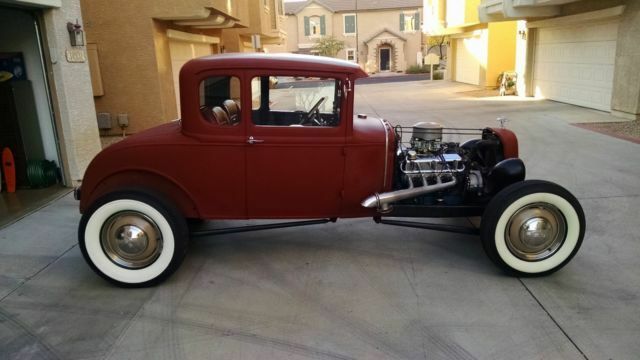 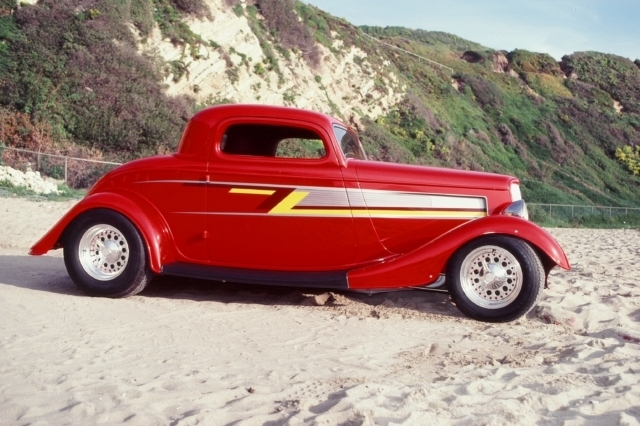 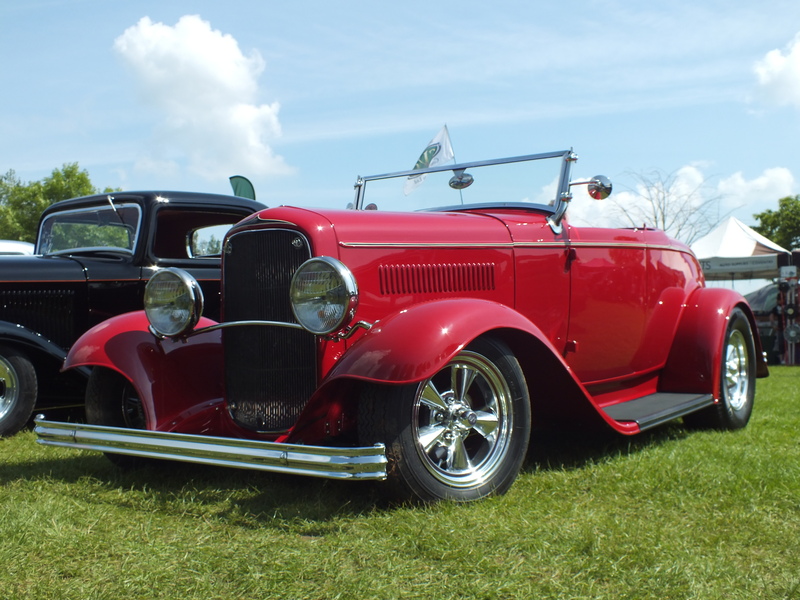 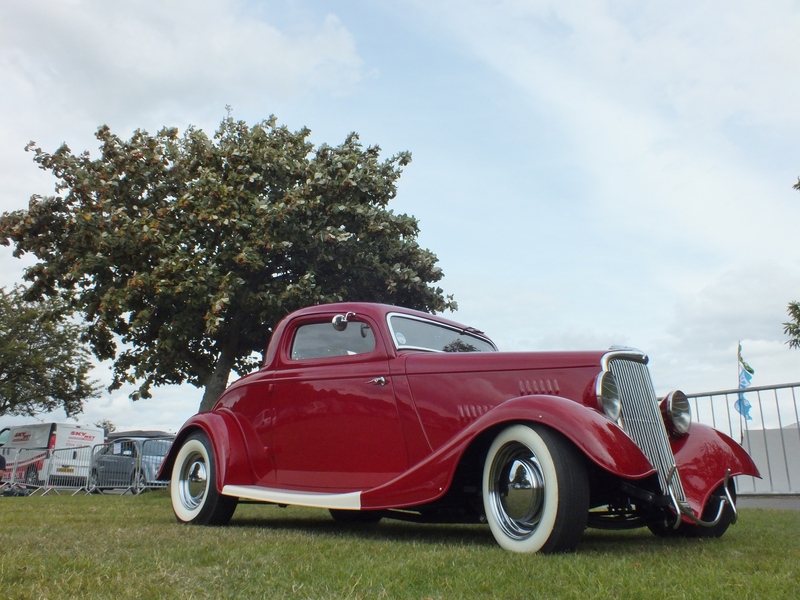 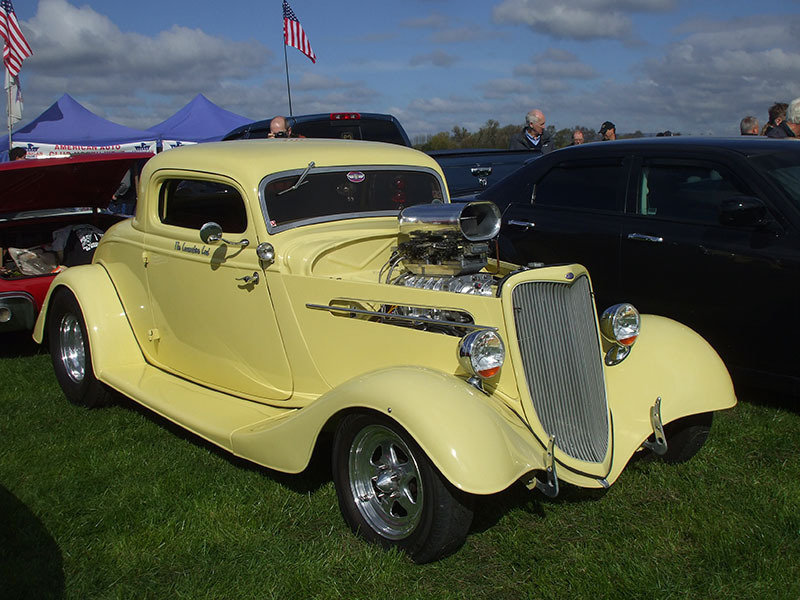 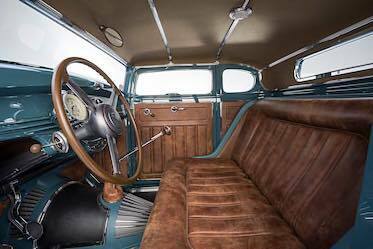 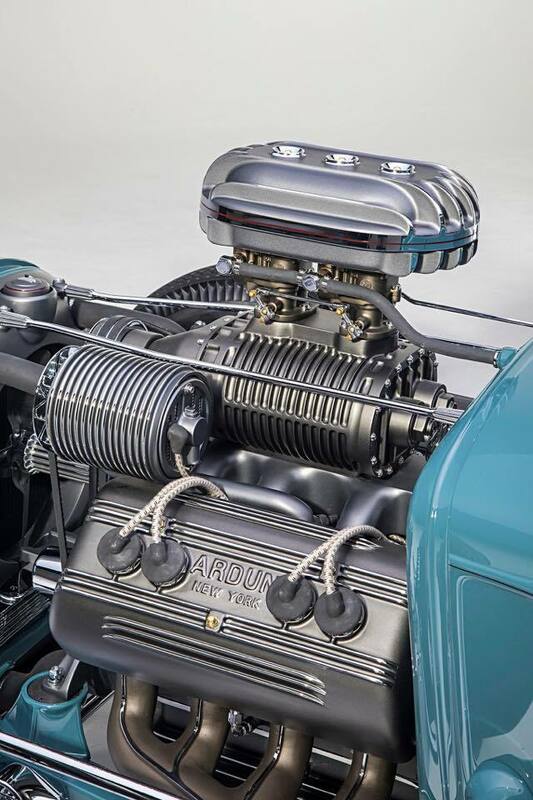 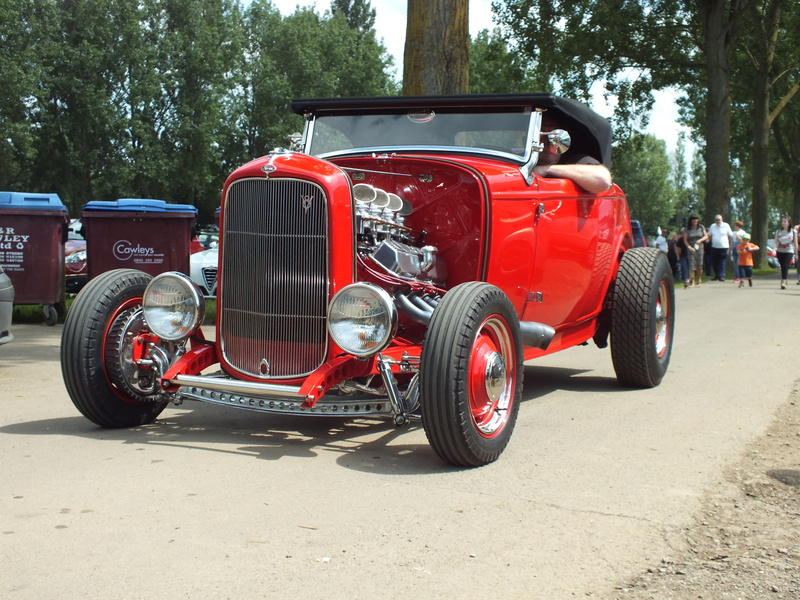 It is generally accepted that a hot-rod is a 1948 and earlier body style that has been modified for enhanced driving performance, top speed, and/or to accelerate faster. 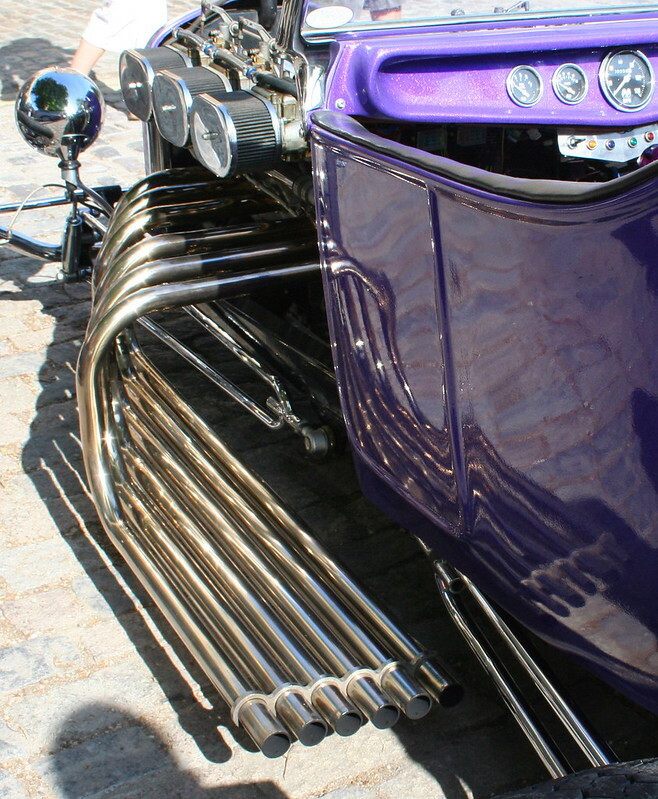 More form over function than pretty paint and wheels, but I'm open to the shiny stuff as much as the form over function stuff. 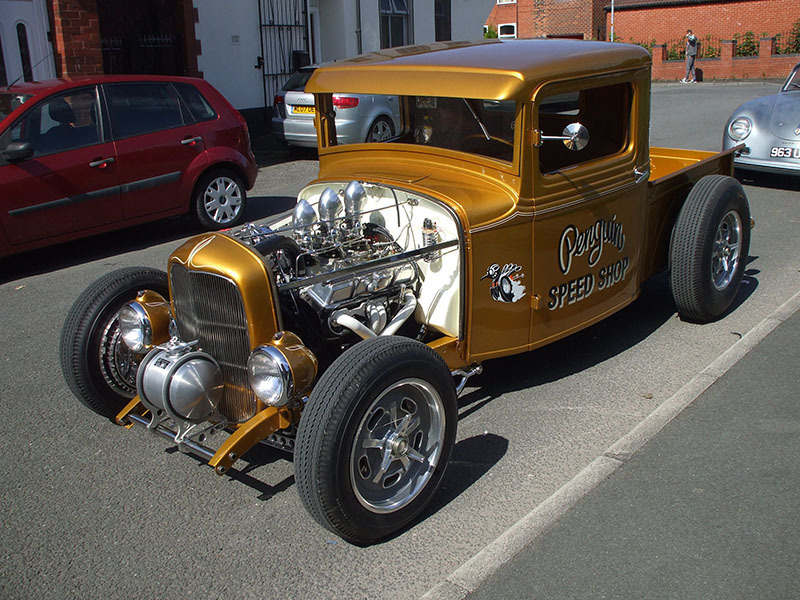 I've been an armchair Hot-Rodder for as long as I can remember, and I pretty much like all styles, even the tasteless stuff of the late seventies and early eighties! 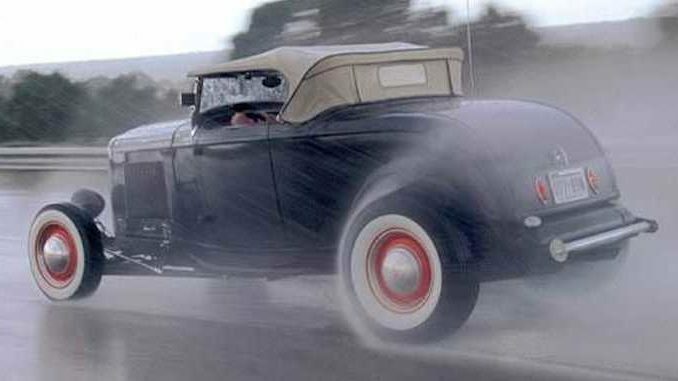 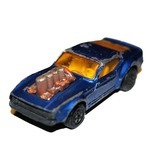 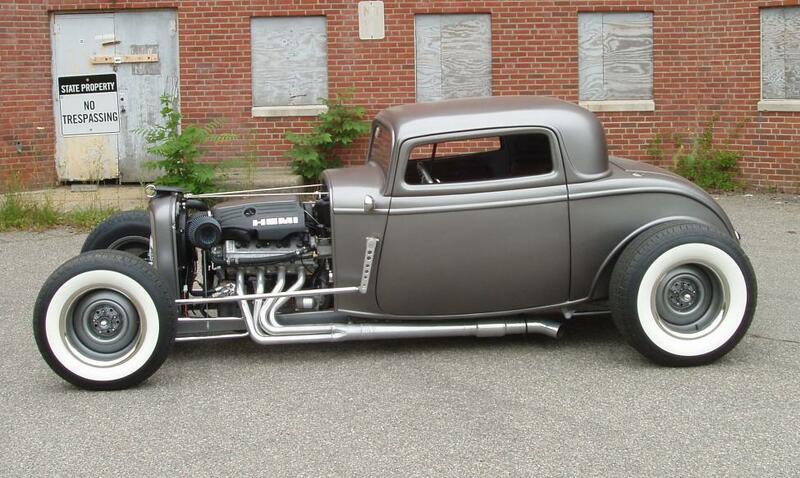 Anyhoo, I'll lead off with my version of a Hot-Rod, which to date is my only Hot-Rod type car. 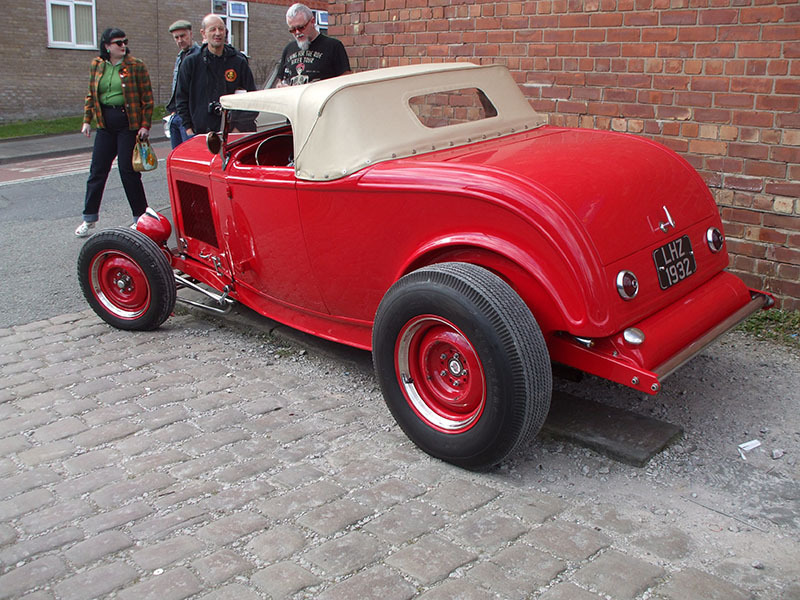 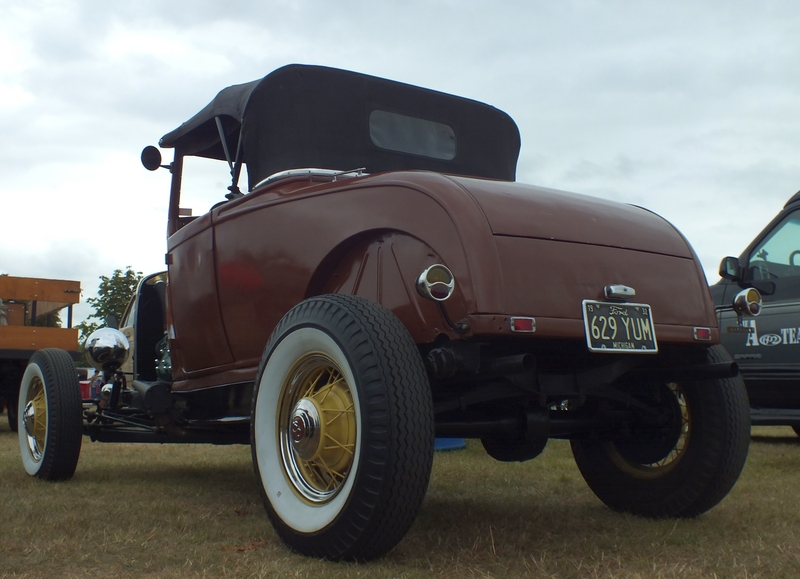 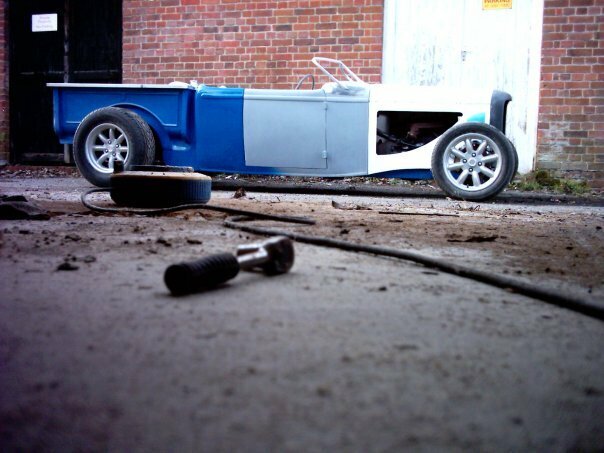 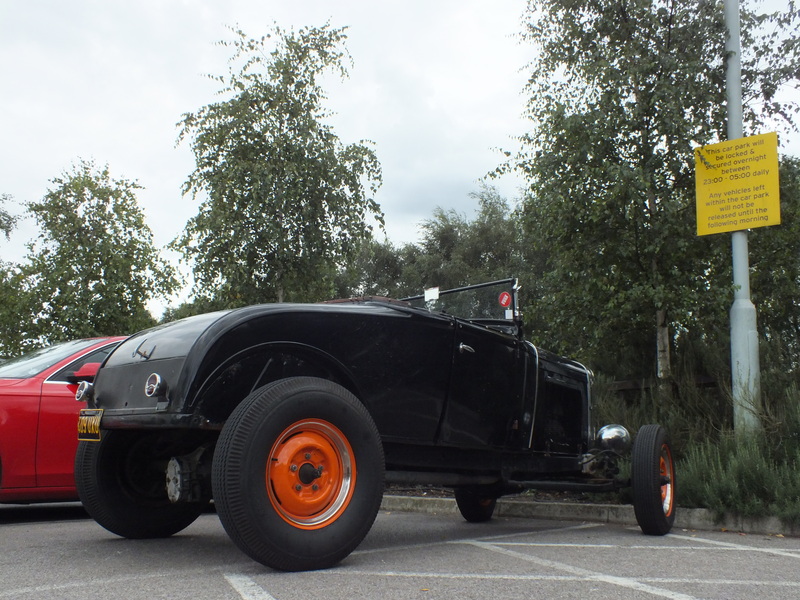 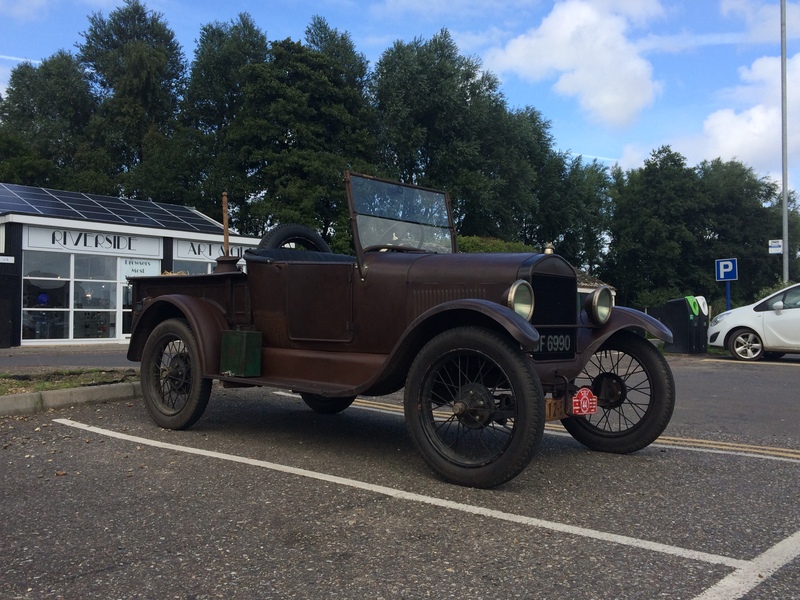 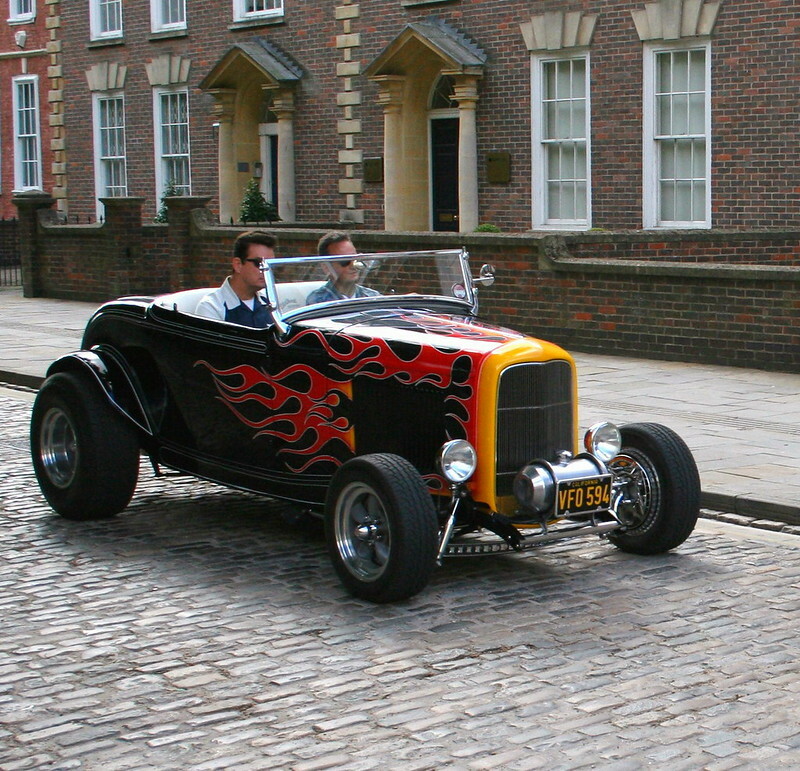 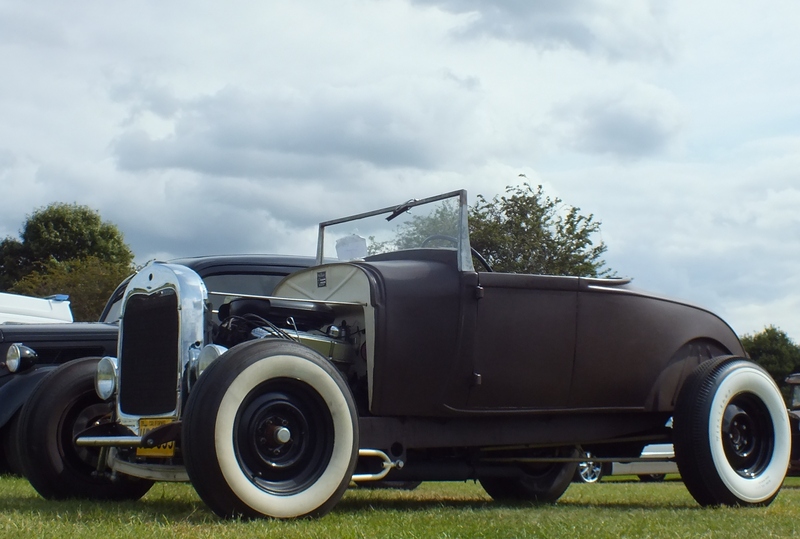 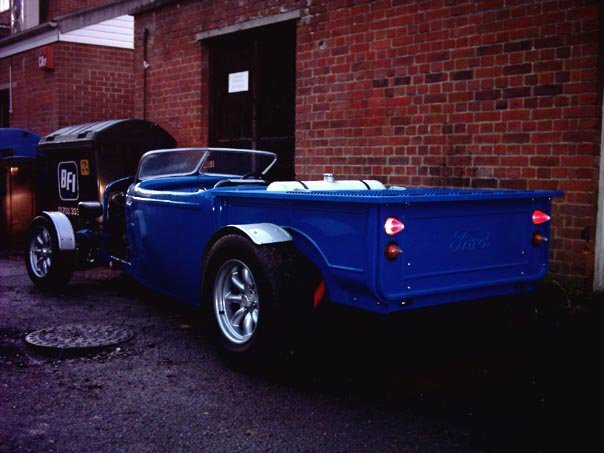 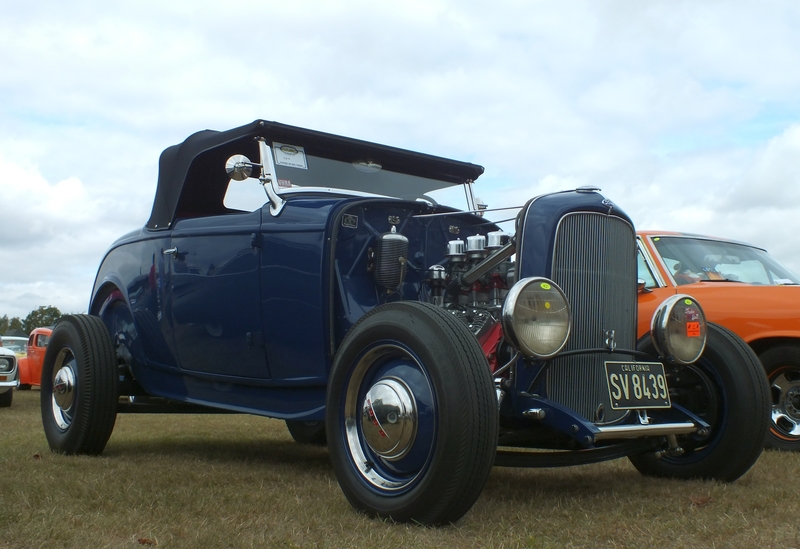 My '32 Ford roadster pick up (replica). 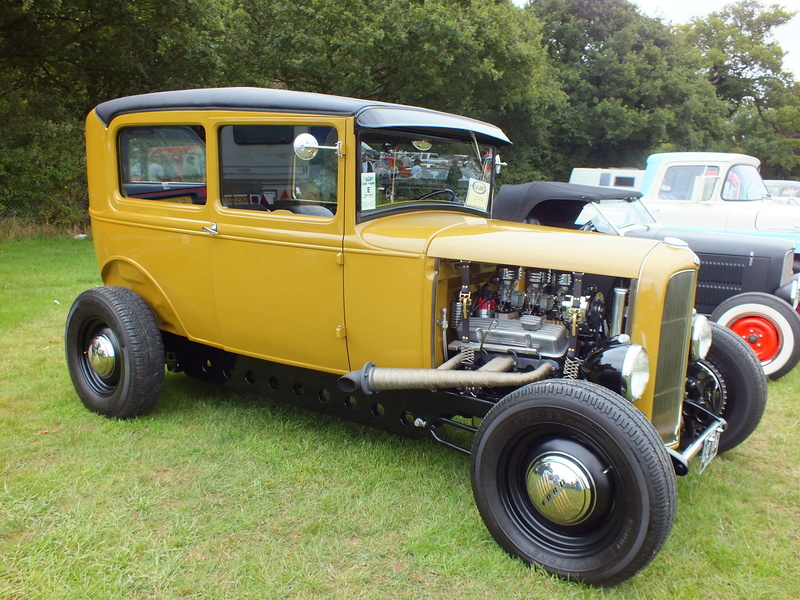 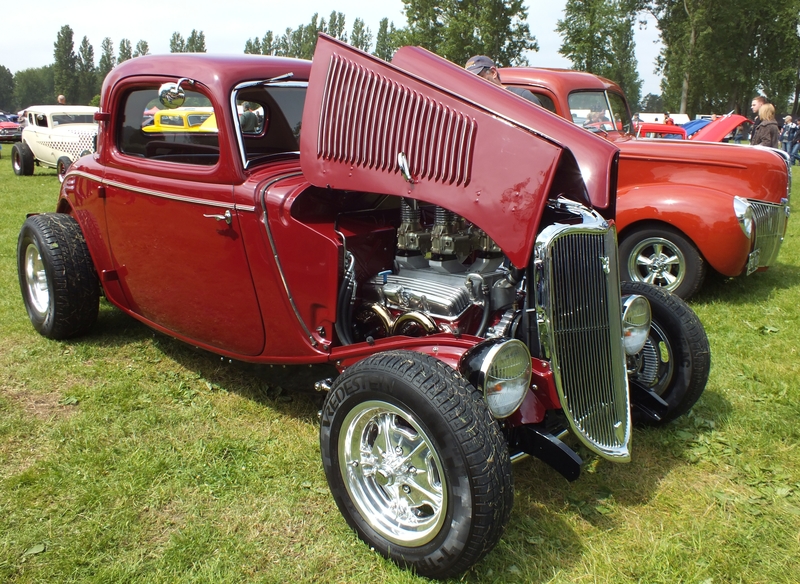 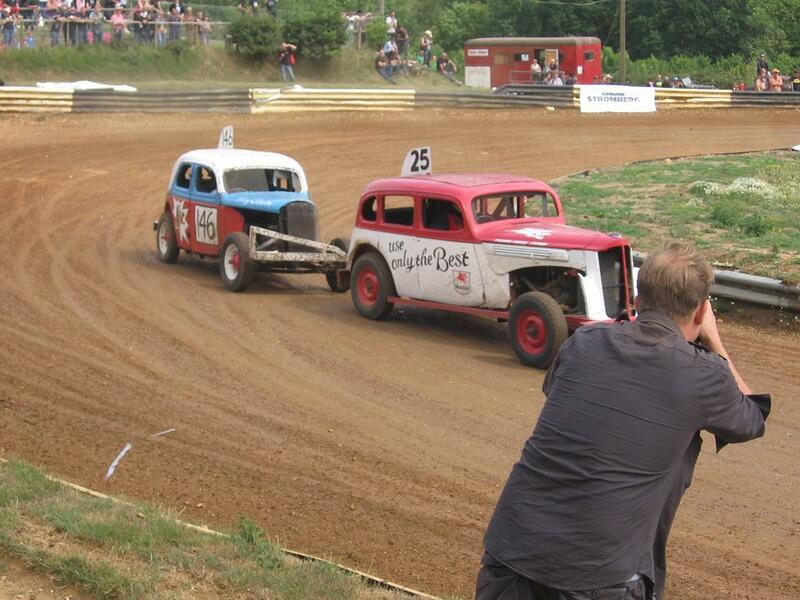 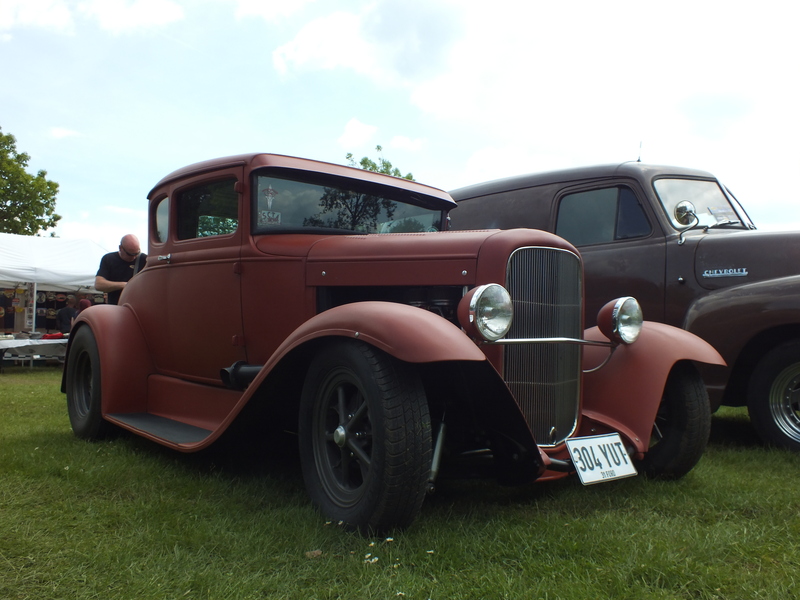 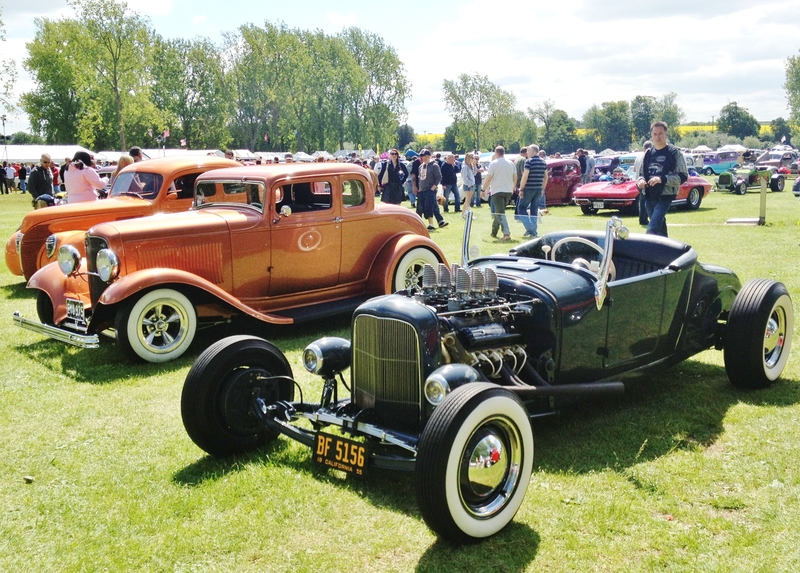 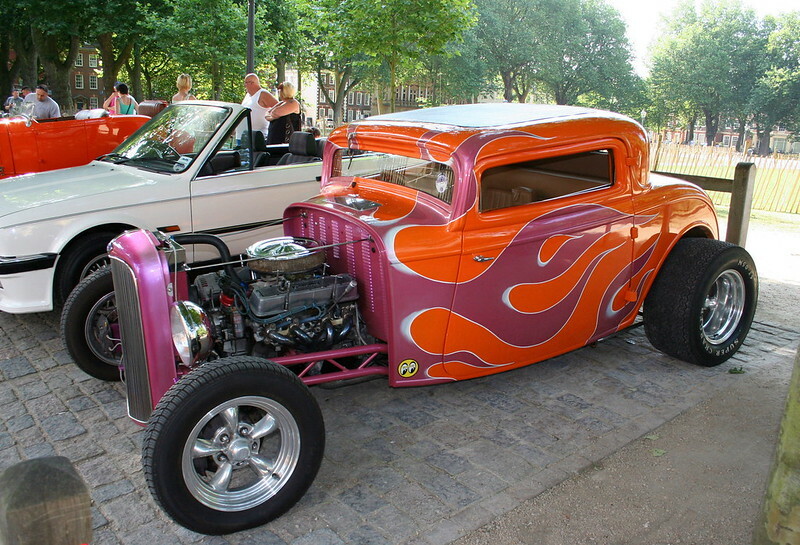 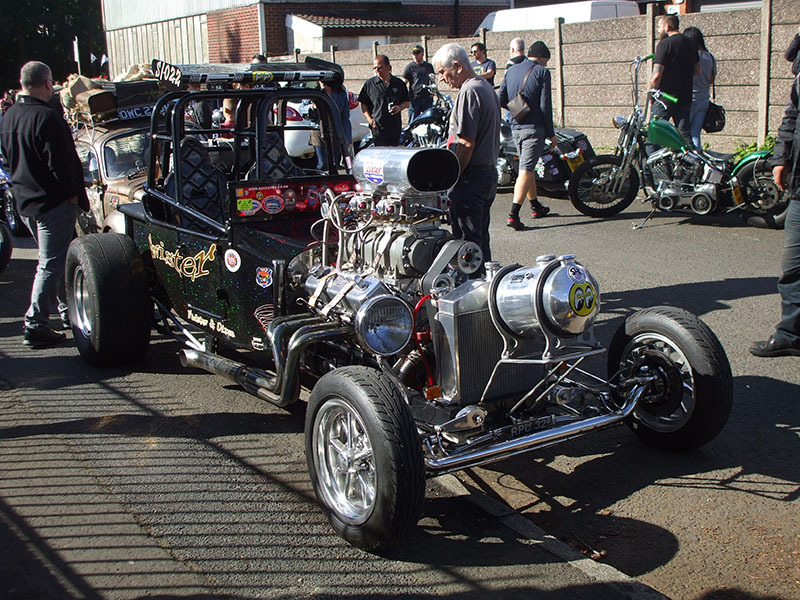 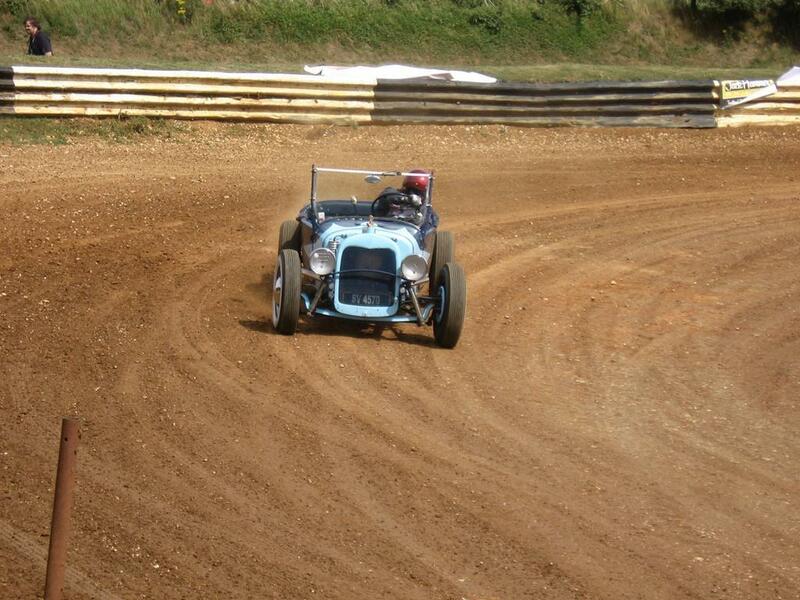 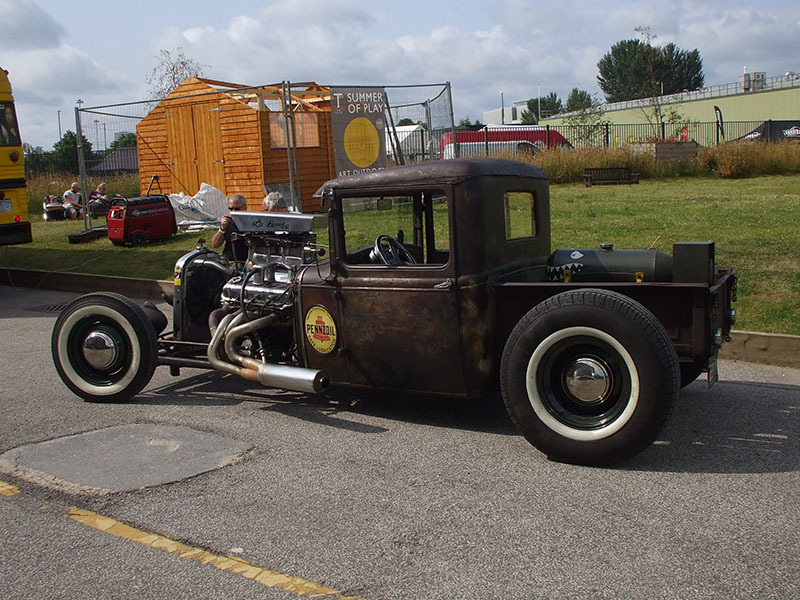 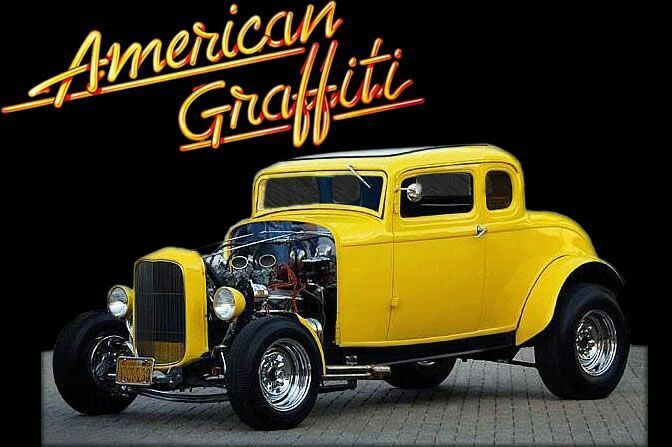 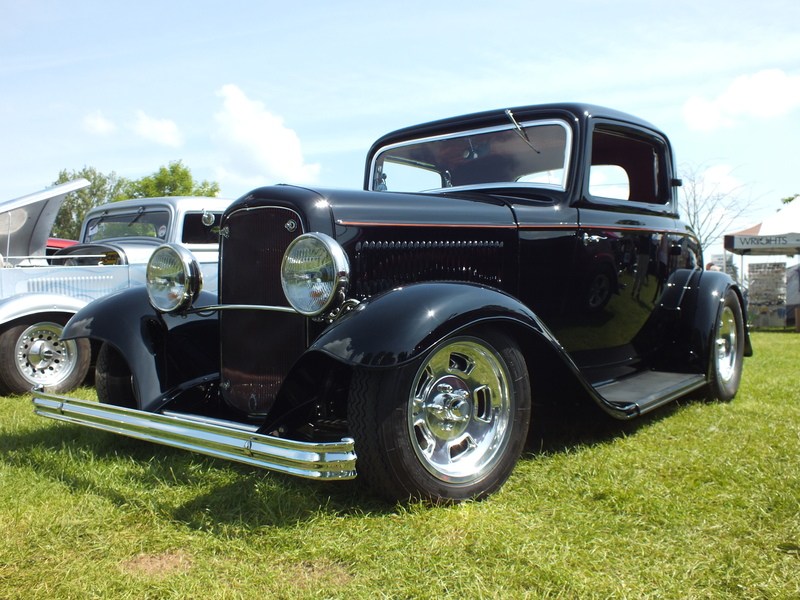 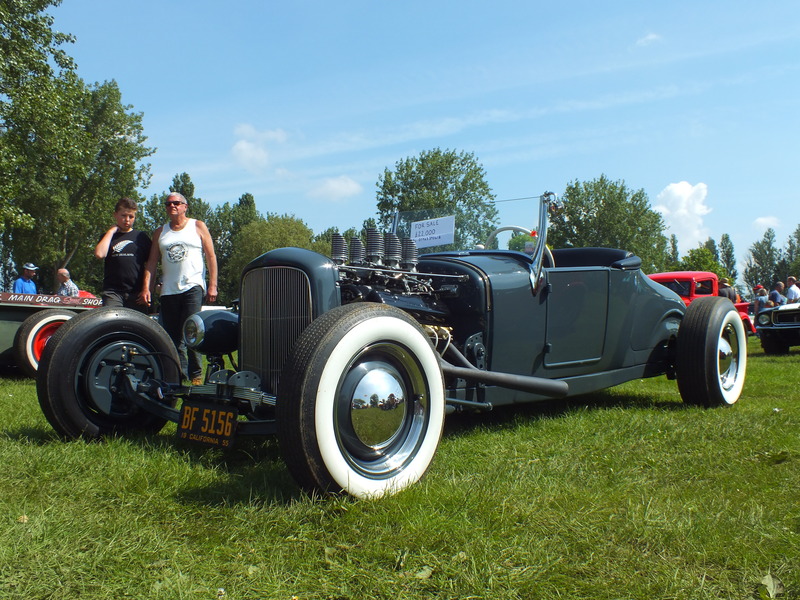 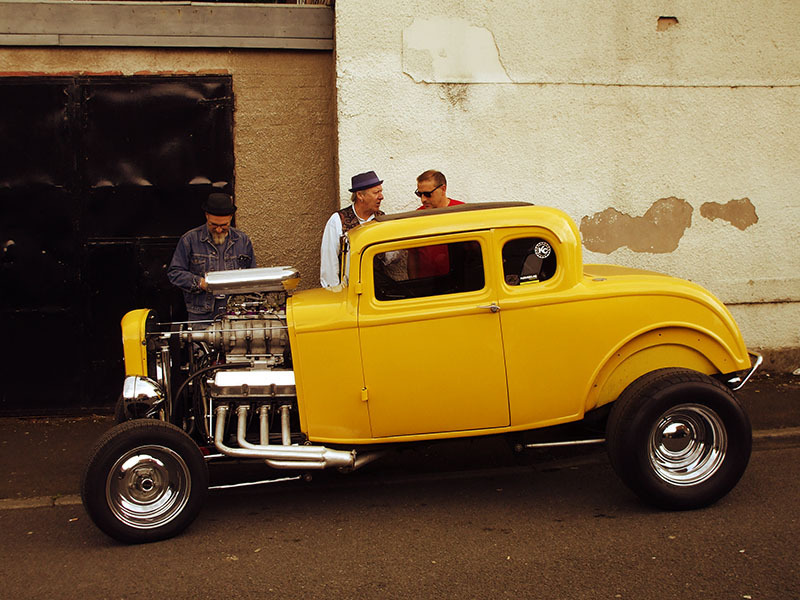 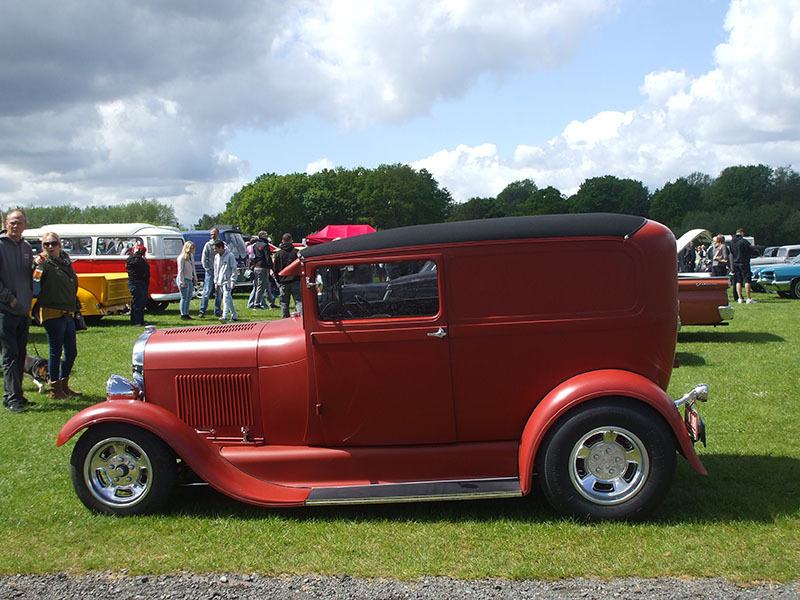 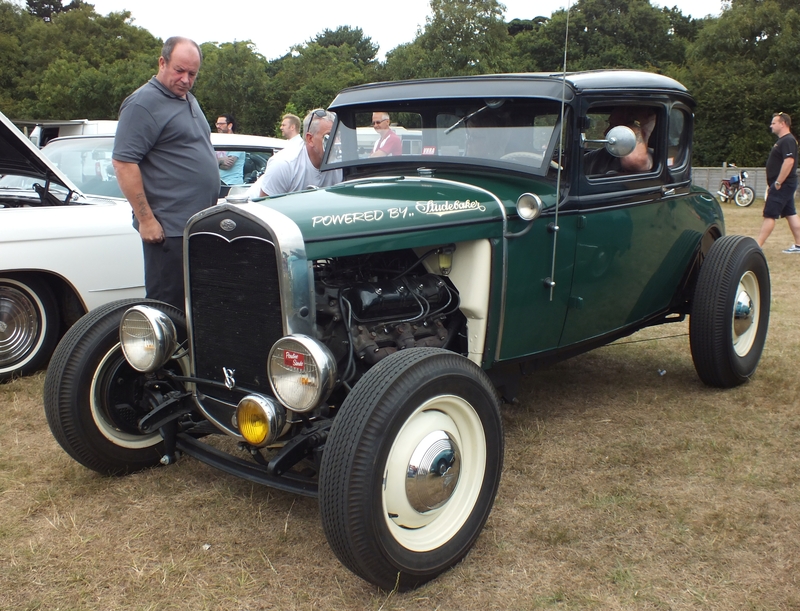 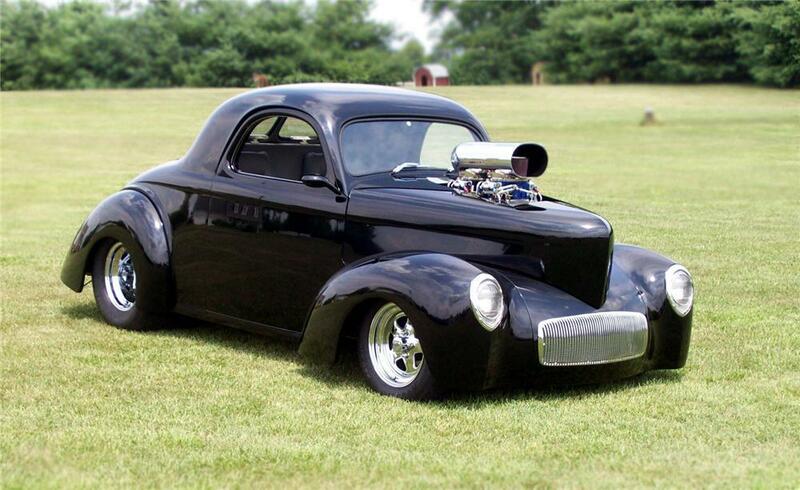 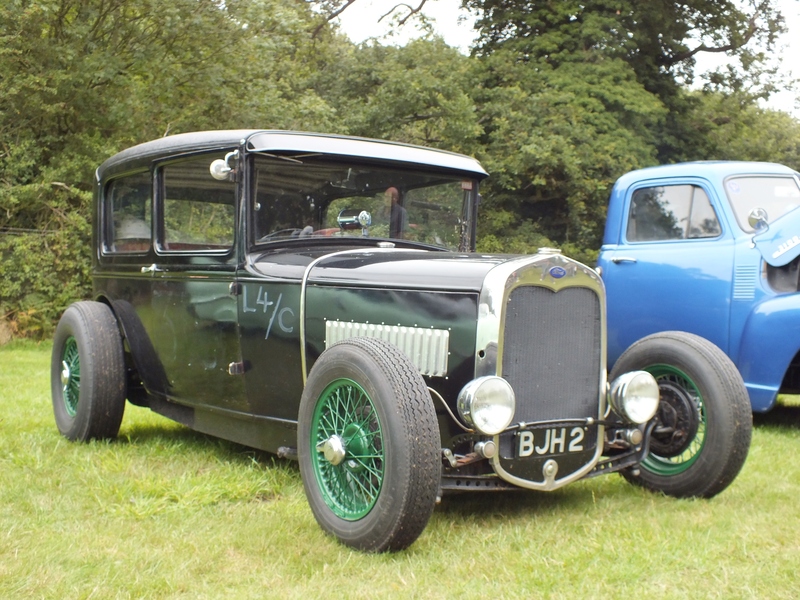 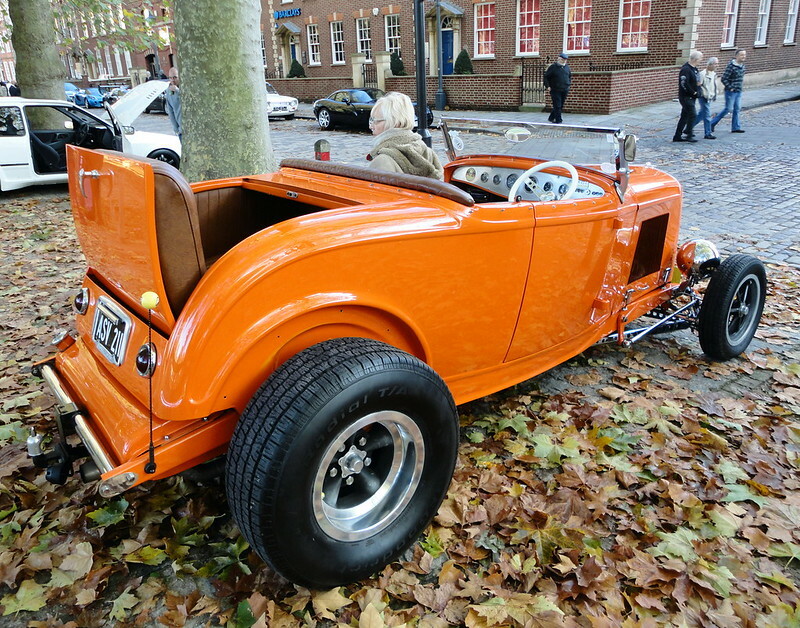 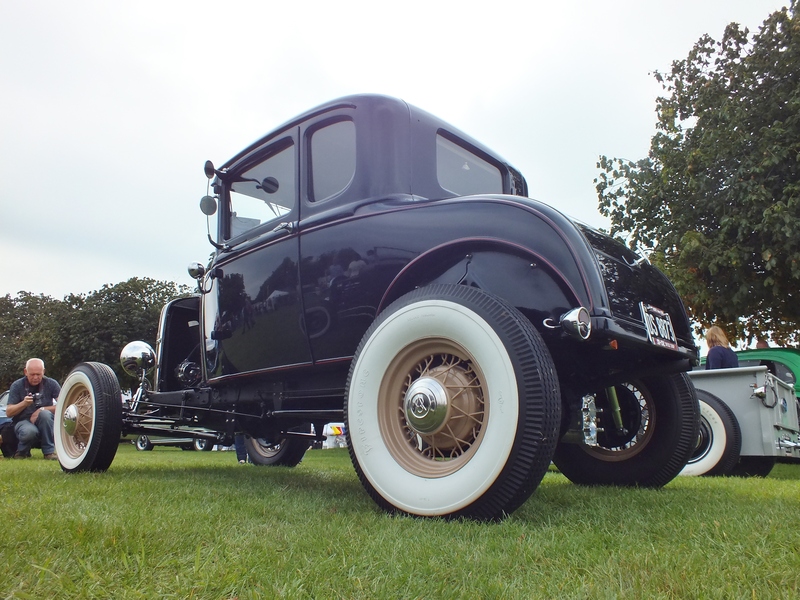 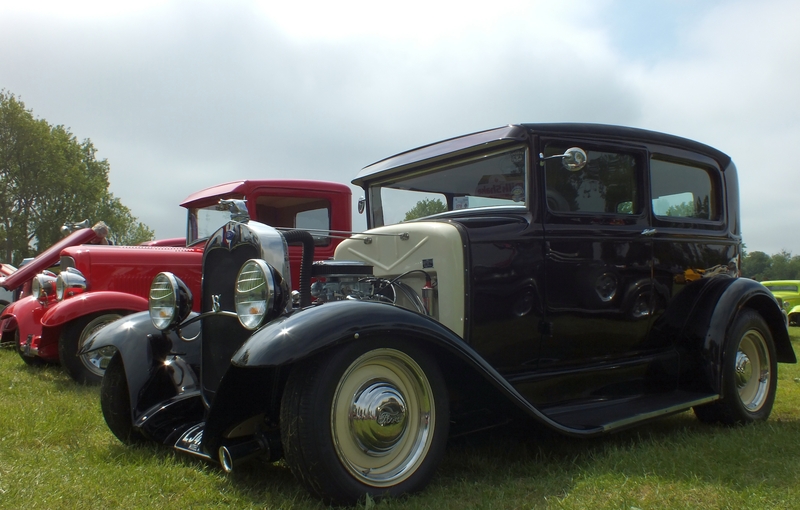 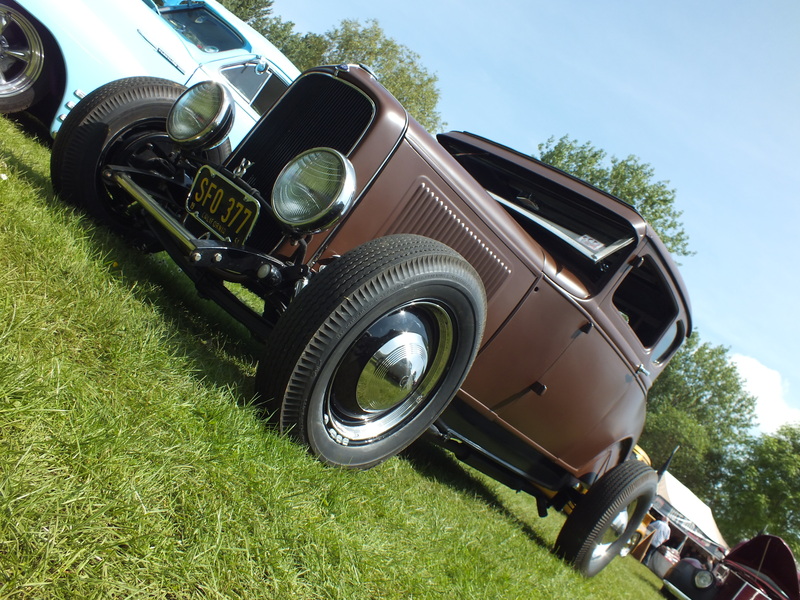 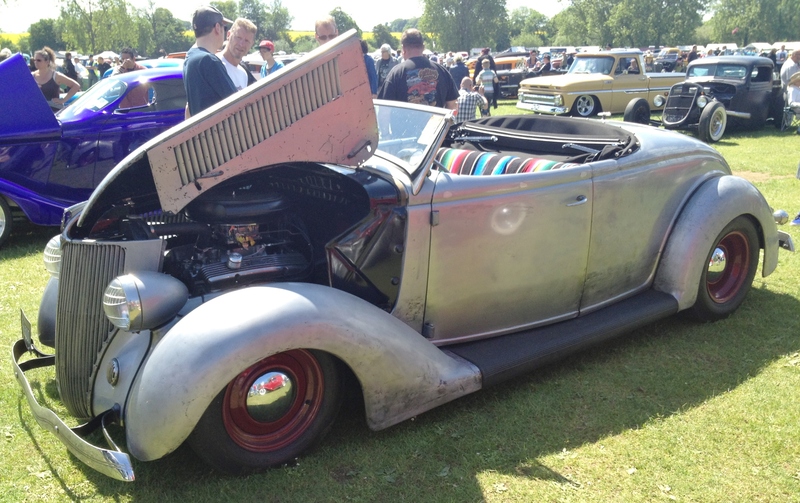 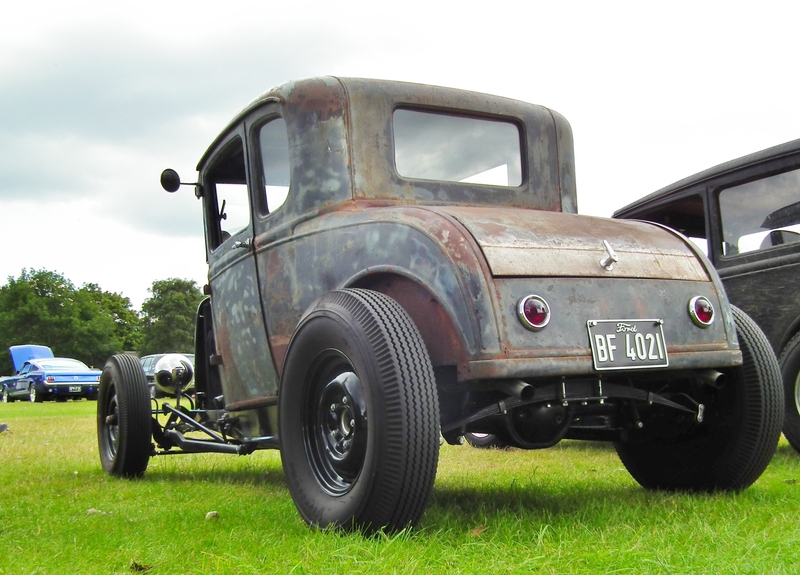 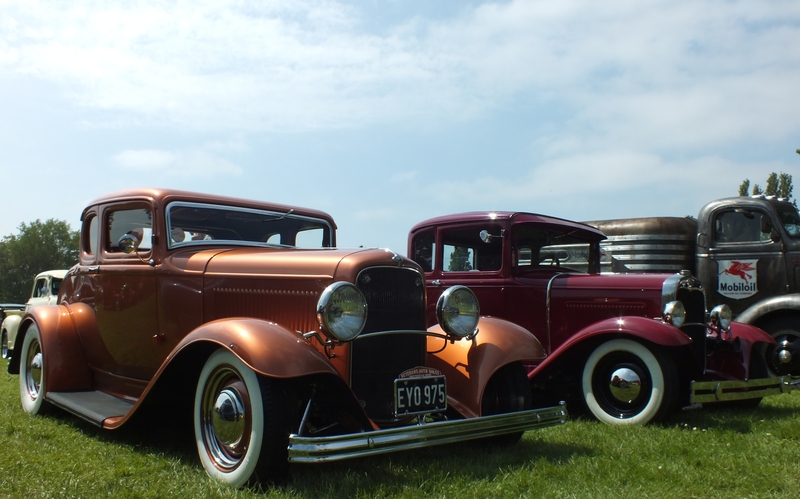 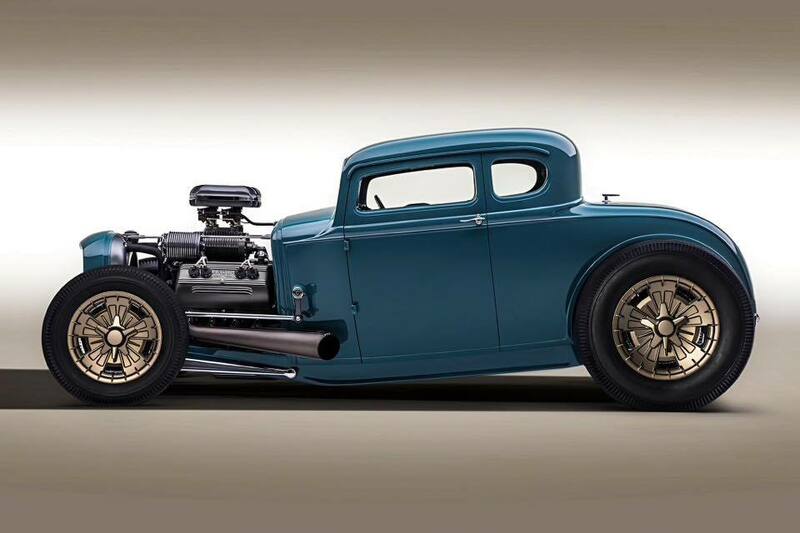 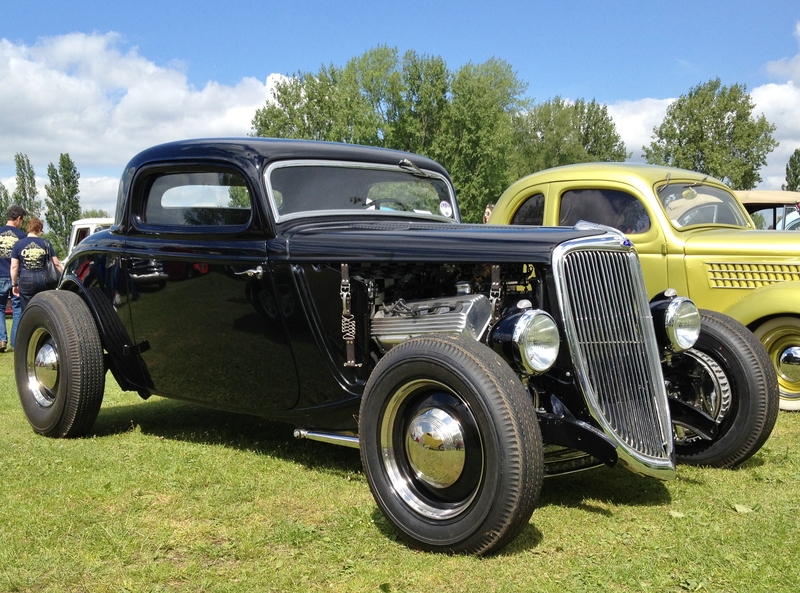 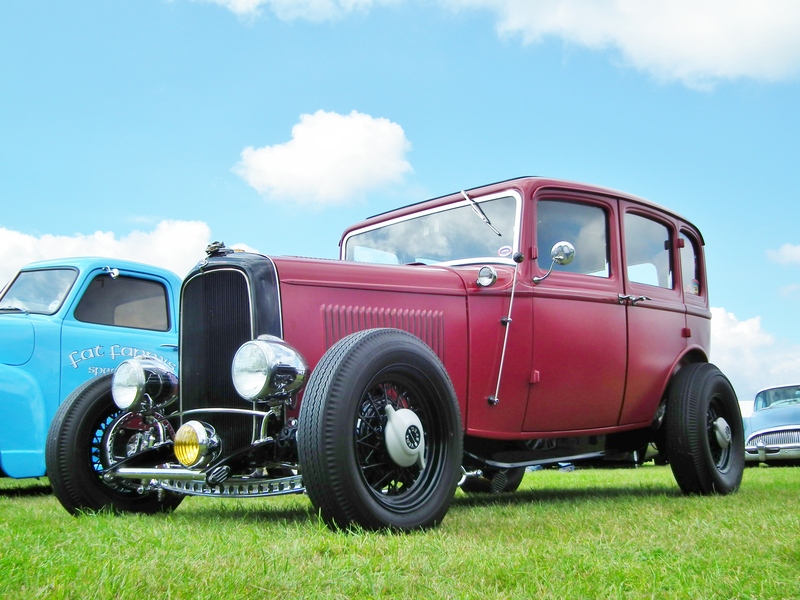 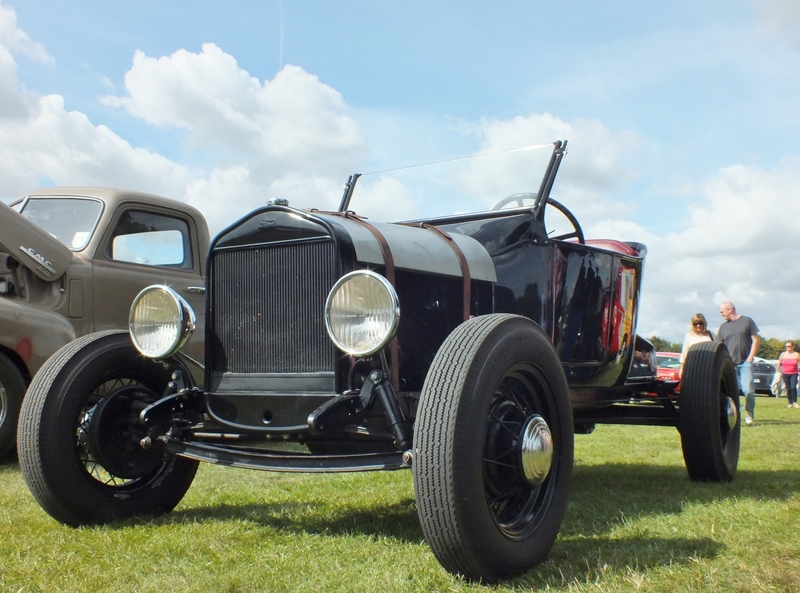 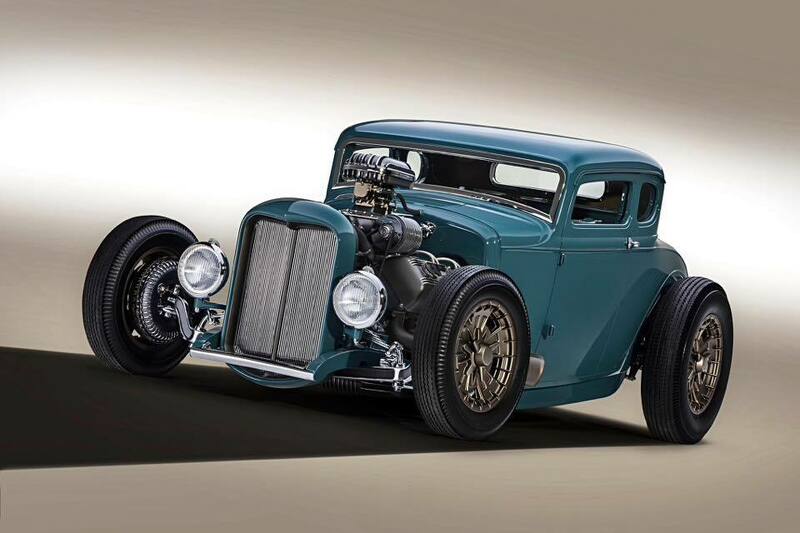 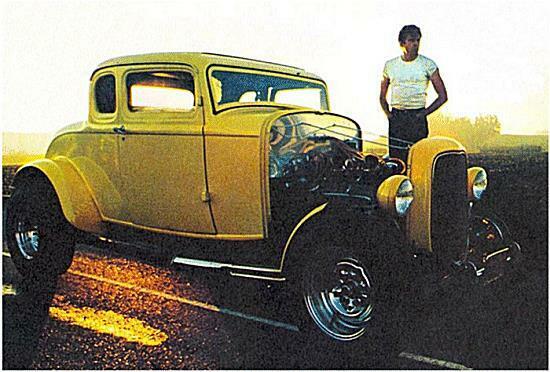 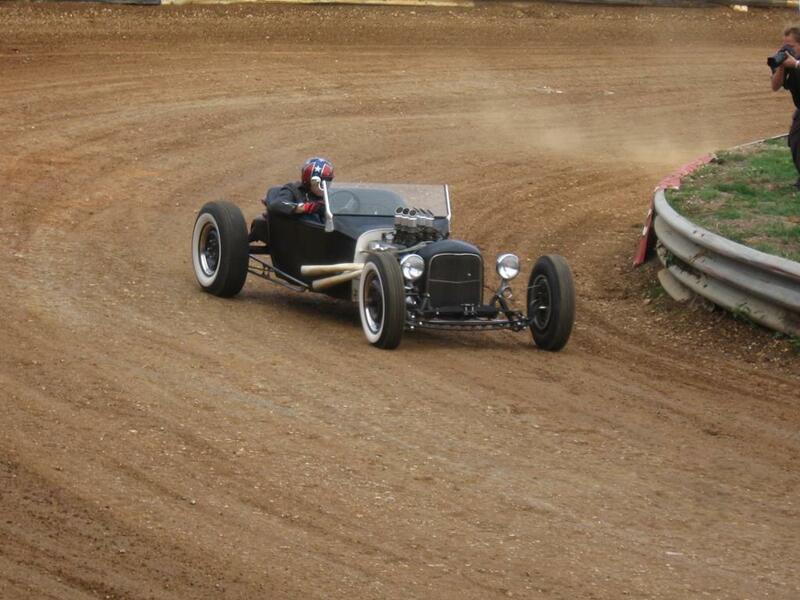 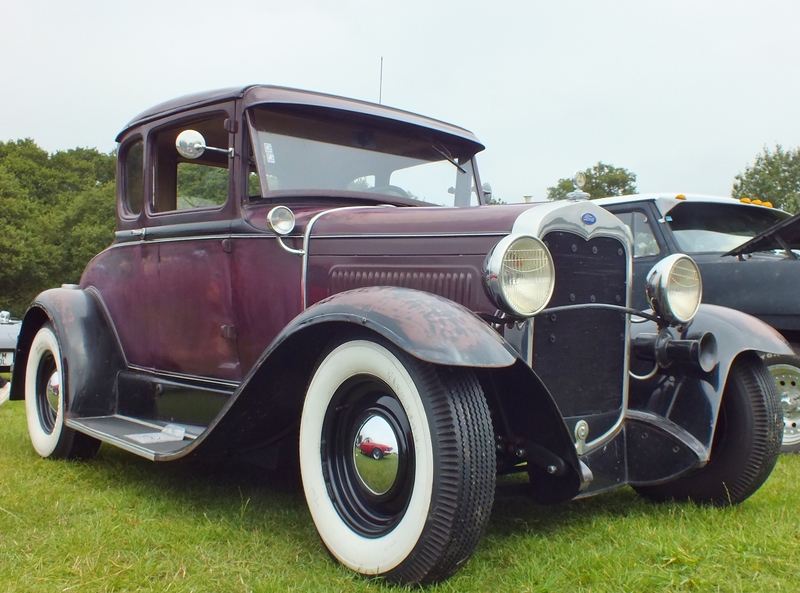 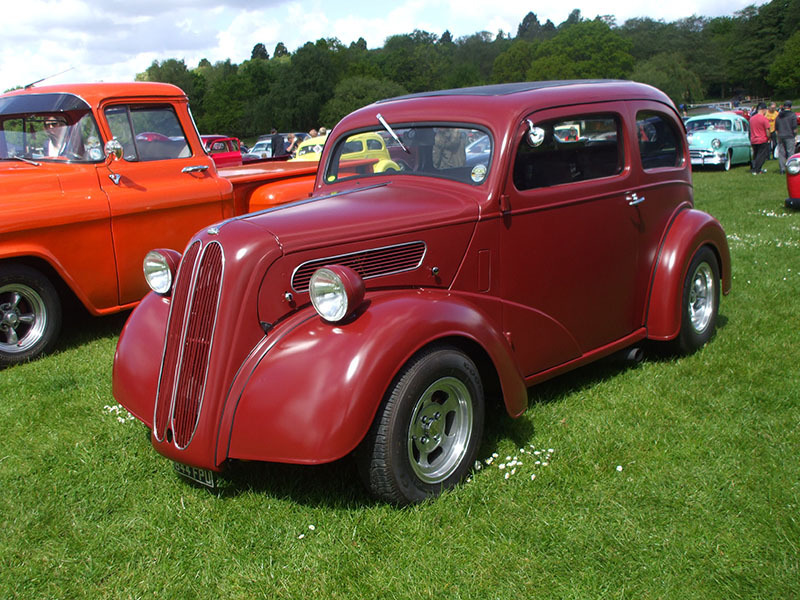 Lets see more pictures of Hot-Rods!! 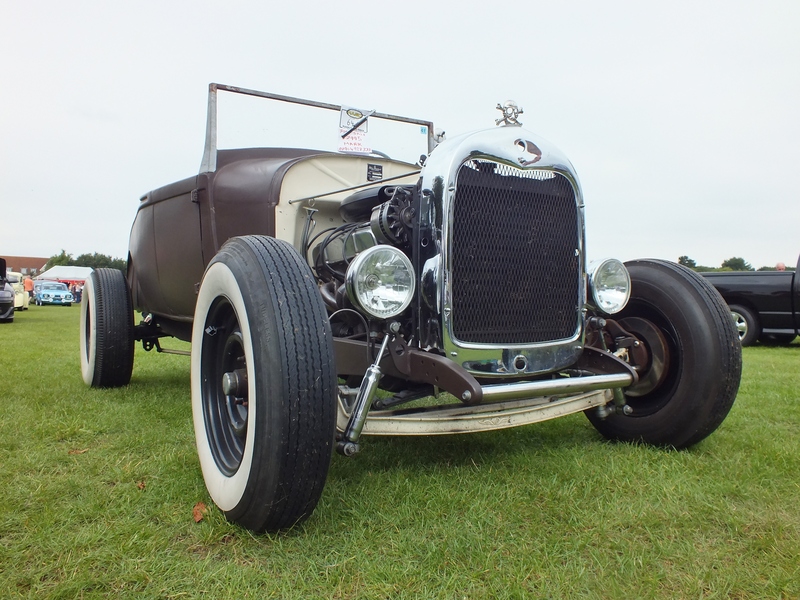 And every time I do it gets me thinking "I need one of them"
Hotrods come in a variety of shapes and sizes, but to me certain types just scream 'right'. 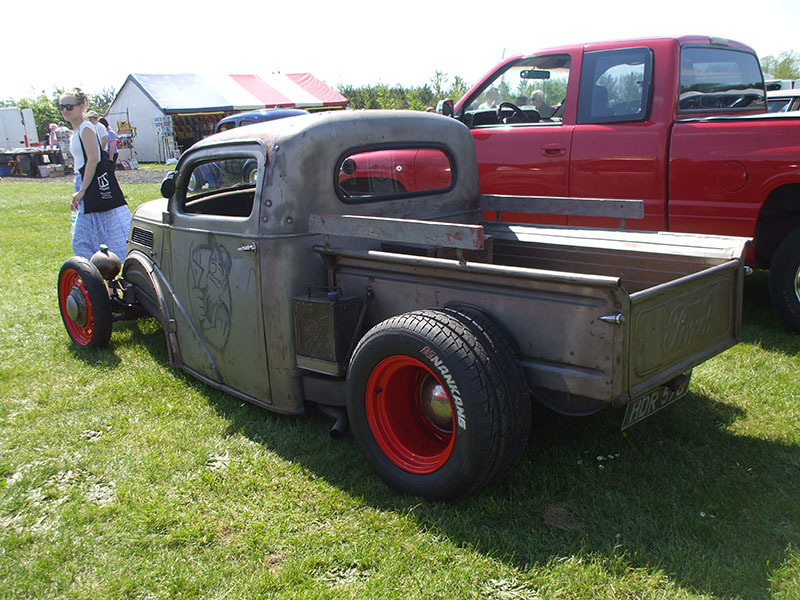 Usualy black, grey, or red oxide works for me. 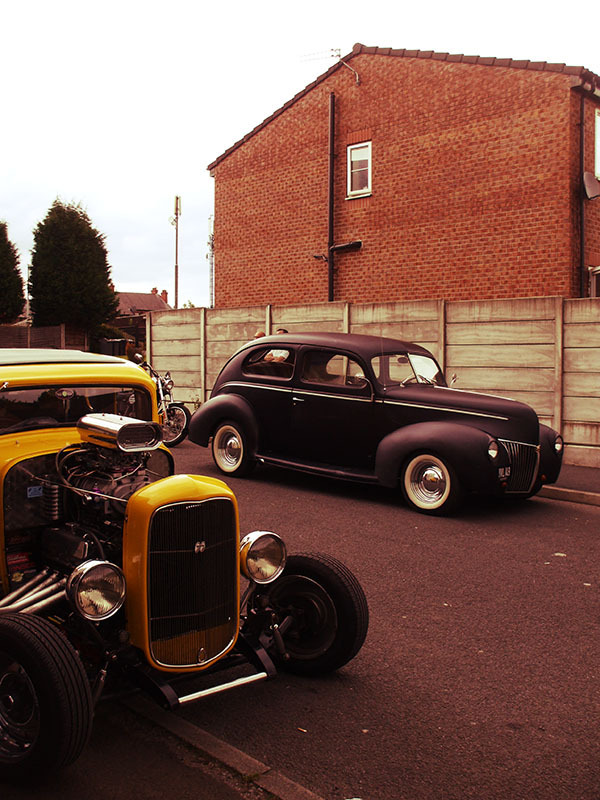 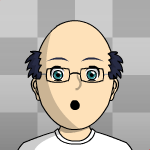 ^^That is now my screensaver, nice one! 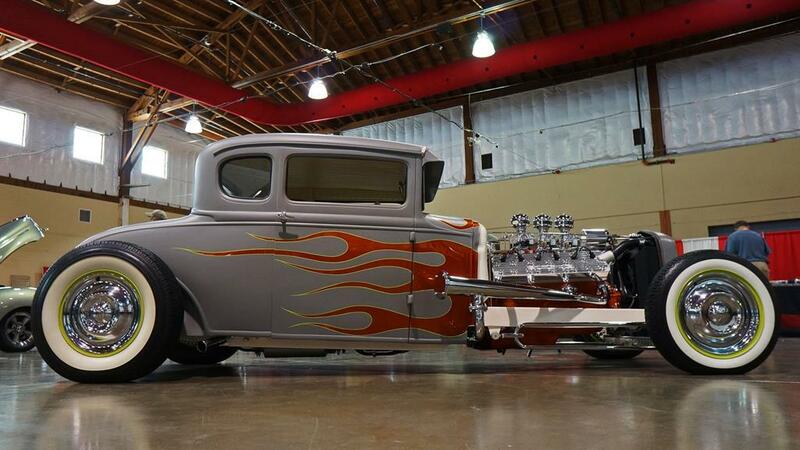 Well you can't have a hot rod thread without a Pop or two. 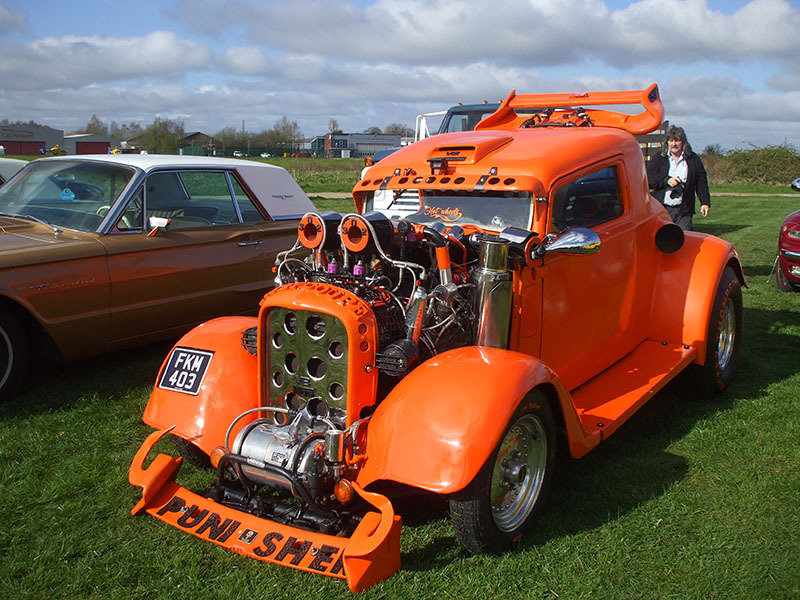 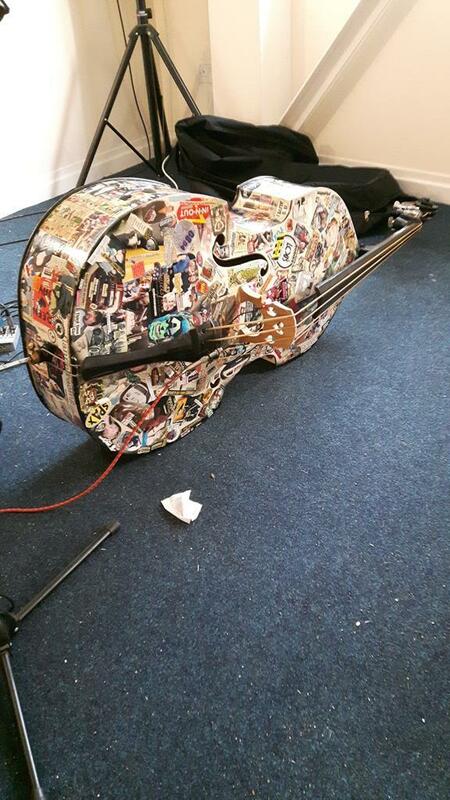 A mix of old n' new, and tastefully done too! 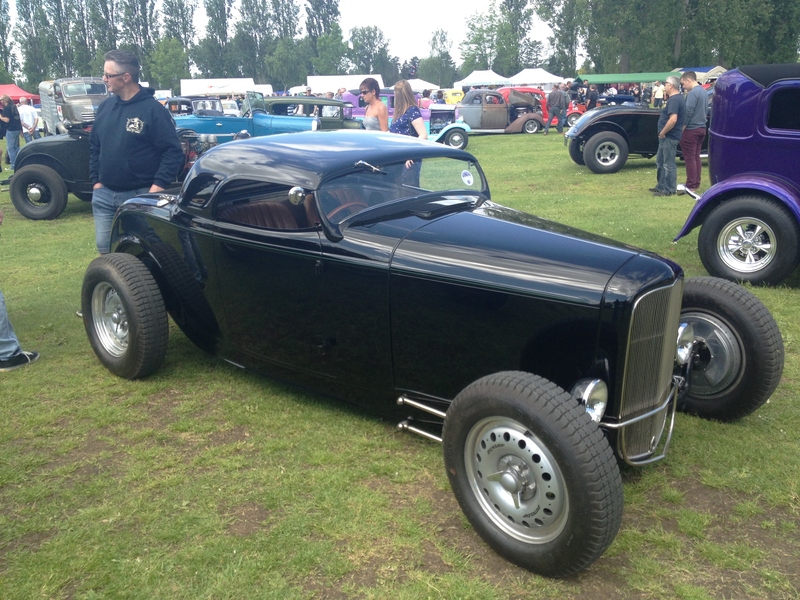 It's not a perfect '32 Ford, and the suspension components give that away, but I think it looks pretty cool, and I'm happy with it.